Hello National Embroidery Month! 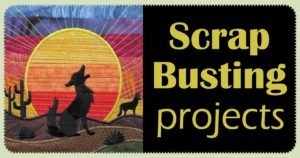 Dig out your scraps. We have plenty of projects that are perfect for using up your fabric scraps and precuts. Better yet, most of them are finished entirely in the hoop! Mug rugs are so popular right now and make a very versatile gift. Just add a cute mug and fill it with candy or a coffee shop gift card. 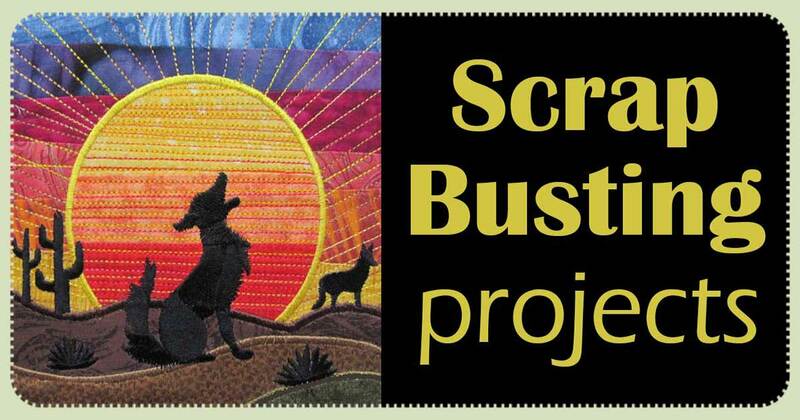 Scraps can be used for borders, batting, or even the backing, which is often made of two pieces of overlapped fabric. See just how easy they are to make here. 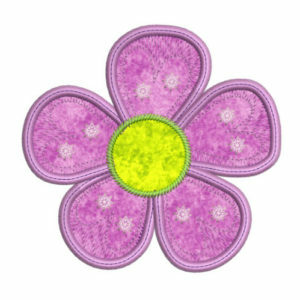 Because they sometimes only require a little piece of fabric, applique designs make scrap pieces disappear in a hurry. 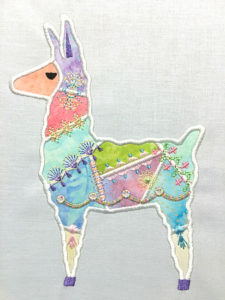 You may be surprised at just how small of a scrap that can be used in an applique. That goes for fusible interfacing and fusible web as well. Crazy quilting was created, in part, to make good use of scrap fabrics. Mixing and matching fabric prints can make a crazy quilt project quite interesting. What better way to recycle your cut offs? See just how easy it is to do here. 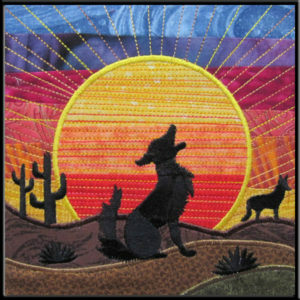 This set of six sunset blocks is pieced in the hoop and embellished with applique, quilting, and embroidery. Together, they create a stunning presentation that is also a great stash buster. 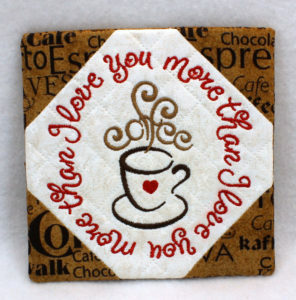 Smaller fabric and batting remnants can be turned into coasters easily enough. Much like mug rugs, this set is pieced, quilted, and embroidered entirely in the hoop! Stitch up a bunch to keep on hand and use for last-minute gifts. 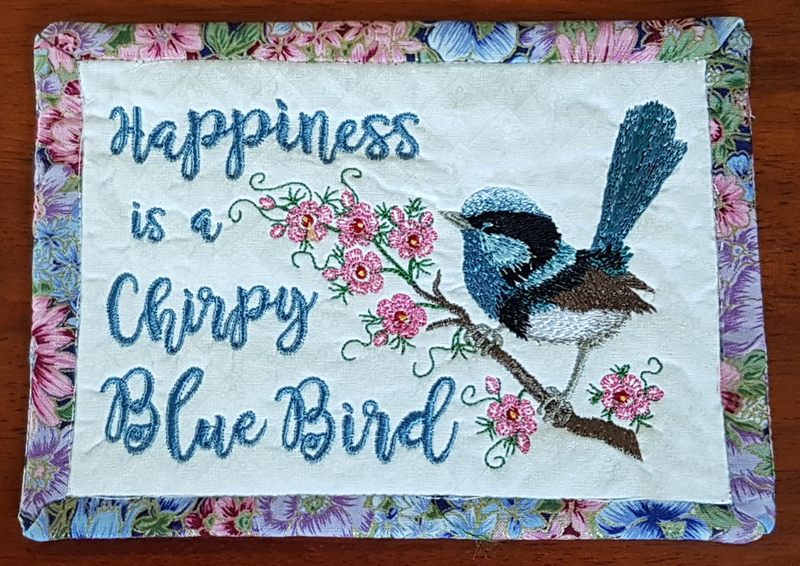 Previous Previous post: Celebrate National Embroidery Month with a Giveaway During Our 2019 Stitch Along Tour!